Power washing is the only way to get your roof looking clean again. Dirty roofs look unsightly and deteriorate there surfaces. If you would like to have your roof look nice and new again just call 0415 972 645 or inquire online. Power wash Australia have cleaned hundreds of roofs and always use a process and treatment that will not only remove all the dirt and contaminants but will also inhibit the re growth of lichen and algae by killing the left over spoors that inhabit the nooks and crannies of your roof tiles. 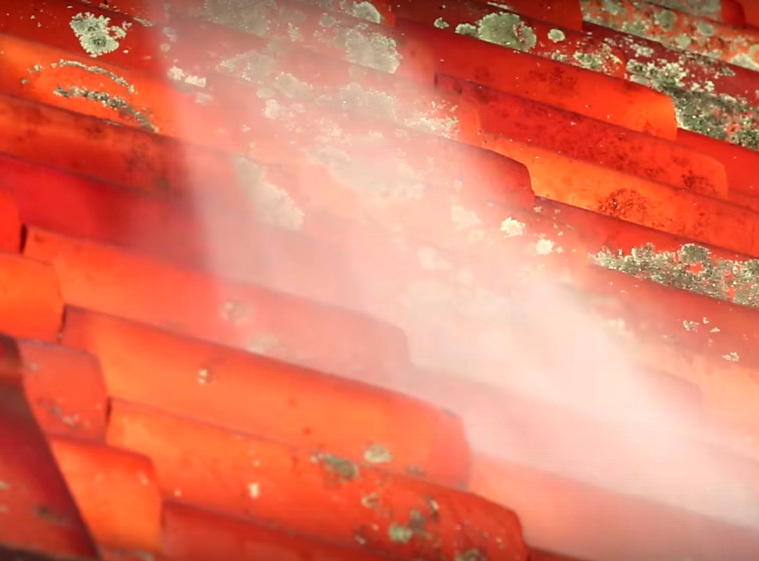 If you have terracotta roof tiles once cleaned and treated your roof will literally look like new and there will be absolutely no need to worry about painting terracotta as there colour is natural or glazed and it will be there for life. Cement roof tiles however don’t fare so well. Modern tiles withstand the weather much better than older tiles technologically speaking so chances are if your tiles are 15 – 20 years old the colour has long gone and what is left is beneath the build-up of dirt, lichen, mould and moss and once cleaned will come away with dirt and all that will remain is the raw cement tile which will need repainting asap after the cleaning procedure because of its porosity. If your tiles are relatively new the cleaning process will only clean the tile and the colour will not be affected. Your roof will look like new. Who would have ever believed you could now buy a pressure cleaning machine from Aldi? This trend has made it possible for anyone to “DIY” pressure cleaning. Now, at this point, can I draw your attention to washing your car? What happens if you wash your car with just water only? (No soap, just water.) I can tell you! It will be cleaner; however it will not be anywhere near as clean as it would be if you used soap. Pressure cleaning is much the same; if you do not use the right solution for the job it will not nearly as clean. I have seen the results of a frustrated “DIY’er” trying to remove stains and marks from a multitude of surfaces by pressure cleaning alone and the results were devastating. Damaged paint work, scored sandstone and concrete, mortar blown out between bricks, and the list goes on. Pressure cleaning can be tricky depending on what you are cleaning! Why not let Power Wash Australia takes the worries out of your house washing needs? We know what we are doing when it comes to Pressure Cleaning Sydney. Professional, insured and most of all on time and friendly! For a “go the extra mile clean” without blemish call PWA today 0415972645 or get a quote online for superior house washing Sydney.